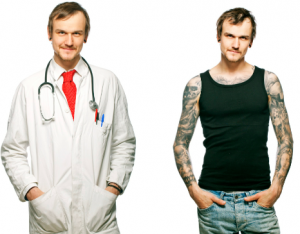 Will having a tattoo cost you a job? At a job interview, first impressions matter. But will you really miss out on the job if you have tattoos? It probably depends on the company and the role you are applying for. Today many companies value diversity and creativity and are happy to employ staff with tattoos as long as the artwork is not offensive. Tattoo policies vary within industries and from company to company, and while there are plenty of employers who consider an applicant’s qualifications and skills more important than their appearance, there are certain professions where a conservative approach is still prudent. If you are a student about to graduate and ‘thinking of inking’, consider the implications on your career first. It should not be an issue if the tattoo is hidden or can be easily covered up if a company’s policy requires it, but tattoos on the face, neck and hands may be more problematic. Some employers will not employ staff with any visible tattoos as they are concerned about negative client reactions or causing offense. Air New Zealand recently rejected an aspiring flight attendant because of a Ta Moko on her arm, stating that their international customers would feel uncomfortable despite the cultural significance of the tattoo. I would certainly play it safe or check with potential employers first if you are intending to work in a front-line role, position with client interaction, with young children, in the corporate or business world, and in medical and legal professions. Body art and tattoos seem to be gaining not only in popularity but in acceptability, and many young people are choosing to express themselves in this way. My advice is to choose wisely. 09.18.17So you’ve got a degree huh? How to accessorise your qualification with yourself.